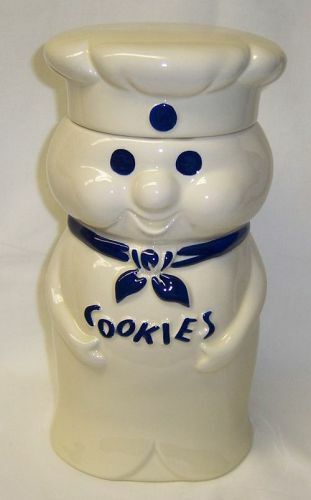 This really nice Pillsbury Poppin' Fresh Dough Boy Cookie Jar with Lid was made for the Pillsbury Company in 1972. This Cookie Jar measures 10 1/2 inches high. Both the Cookie Jar bottom and lid are in excellent condition with no chips or cracks. All the painted decoration is very good. We guarantee items to be as described. THANK YOU. This is a really great set of Six Individual AER-FLO Blue Lovely "Lucite" Fruit Knives and Parers made of "Lucite" by DuPont. These six little knives are in their original box. They measure 5 3/4 inches long and are in excellent, unused condition. The box is in good condition. These little knives would be a great addition to any vintage kitchen array. 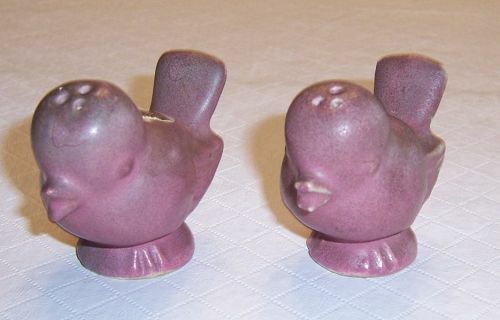 Be sure to search our other vintage kitchen items available. We guarantee items to be as described. THANK YOU. 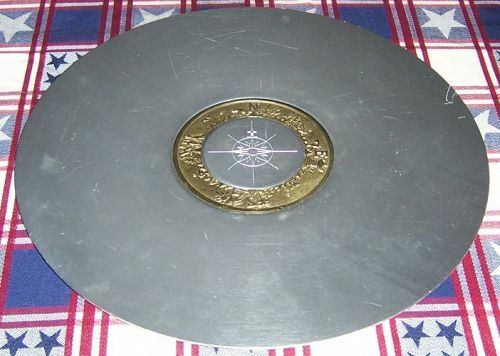 This is a really nice Kensington Ware Art Deco 15 inch round Aluminum Tray with a brass inlay Compass design around center. 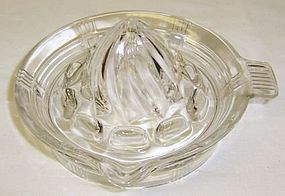 This tray was made in Kensington, PA until 1970. It is in very good condition with no chips or cracks. There are some surface scratches on the aluminum which shows marks easily. This would be a great addition to any party table. We guarantee items to be as described. THANK YOU. 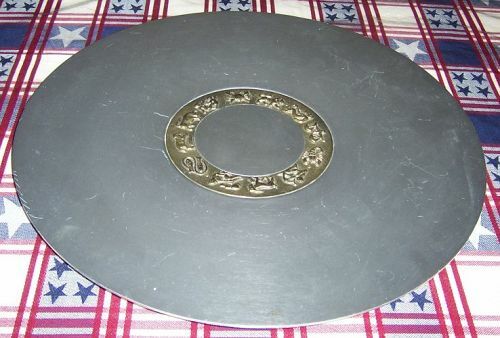 This is a really nice Kensington Ware Art Deco 18 inch round Aluminum Tray with Zodiac brass inlay design around the center. This tray was made in Kensington, PA until 1970. It is in very good condition with no chips or cracks. There are some surface scratches on the aluminum which shows marks easily. This would be a great addition to any party table. We guarantee items to be as described. THANK YOU. 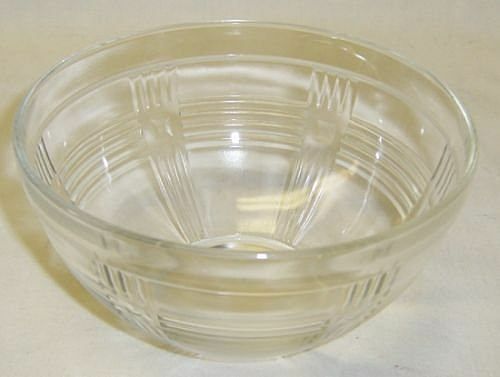 This really pretty Crystal Clear Criss Cross Crisscross kitchen glass 5 1/4 inch Cereal Bowl was made by Hazel Atlas. This Cereal Bowl can be hard to find. It measures 2 3/4 Inches high and is in very good condition with no chips, cracks or scratches. Be sure to search our other Criss Cross available. We guarantee items to be as described. Thank You. 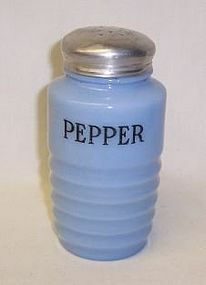 This really pretty delphite blue Kitchen Pepper Shaker was made by Jeannette Glass. This Shaker measures 4 3/4 inches to top of lid and is in very good condition with no chips or cracks. The lettering is good with some very slight thinning. The lid is slightly dented but usable. Be sure to search our other Shakers available. We guarantee all items to be as described. Feel free to email with any questions. THANK YOU. 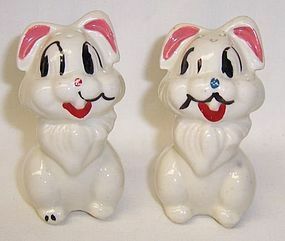 This is a really great pair of, vintage, Thumper the Rabbit Salt and Pepper Shakers made by American Bisque. These shakers are signed WALT DISNEY PRODUCTIONS. The shakers each measure 3 1/4 inches high and are both very good condition with no chips or cracks. The original painted decoration is very good. There are cork stoppers in both shakers. We guarantee items to be as described. THANK YOU. 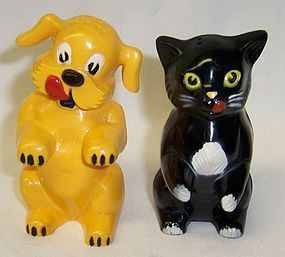 This is a really great pair of plastic Dog and Cat Salt and Pepper Shakers made by F and F Plastics, Dayton, Ohio, from 1933 to 1960s. These Shakers measure 3 1/4 inches high. They were advertisements for Ken-L-Ration pet food. Both Shakers are in very good condition with no chips or cracks. The original stoppers are in the bottom of each shaker. The original painted decoration is all very good. We guarantee items to be as described. THANK YOU. 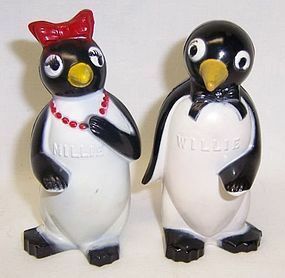 This is a really great pair of plastic Willie and Millie Penguin Salt and Pepper Shakers made by F and F Plastics, Dayton, Ohio, from 1933 to 1960s. These Shakers measure 3 1/4 inches high. They were advertisements for Kool cigarettes. Both Shakers are in very good condition with no chips or cracks. The original stoppers are in the bottom of each shaker. The original painted decoration is all very good. We guarantee items to be as described. THANK YOU. 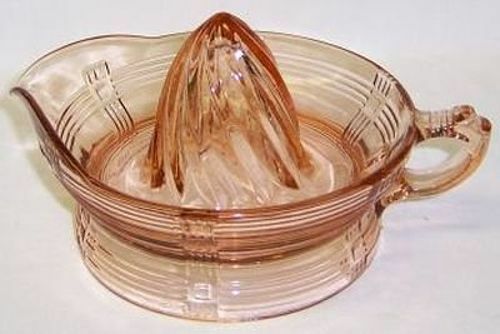 This really pretty Crystal Clear Criss Cross Crisscross kitchen glass Lemon Reamer was made by Hazel Atlas. This Reamer is in really good condition with no chips, cracks or scratches. Be sure to search our other Criss Cross available. We guarantee all items to be as described. Feel free to email any questions. THANK YOU. 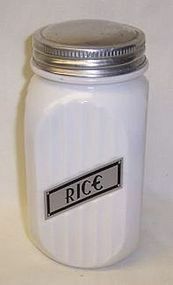 This really nice Vitrock White Rice Canister was made by Hocking Glass. This Canister holds 20 Ounces and measures 6 1/4 inches high X 3 inches square. It is in very good condition with no chips or cracks. The replacement label is very good. The original lid is very good. Be sure to search our other kitchen items available. We guarantee all items to be as described. Feel free to email with any questions. THANK YOU.